For any young professional, Leeds is a great city to consider relocating to. Boasting vibrant nightlife, a bustling creative sector and some of the best shopping for miles around, it’s also one of the more affordable places to live in the UK, with rent averaging £349 per month. But if you’re already based in Yorkshire, you may be thinking of looking further afield. It’s easy to assume that many of the country’s cities will be out of your price range, but with more and more new businesses emerging and establishing themselves outside of London, you no longer have to sacrifice affordability to find great jobs or a great quality of life. In fact, there are plenty of reasonable alternatives around the UK that may have slipped your attention. Perfect for weekend trips home, it’s only 90 minutes away on the train, and Newcastle is probably the closest you’ll get to Leeds for letting your hair down, with a familiar northern feel. There’s a reason it has a reputation as a party destination! If you’d rather enjoy a quieter life, the city is also home to a buzzing hub of creativity, with art galleries and exhibitions galore, as well as a fantastic emerging theatre scene. Rent is definitely on the more affordable end of the scale, averaging £290 per month, and there are plenty of cheaper areas undergoing regeneration if you want to settle permanently and buy. 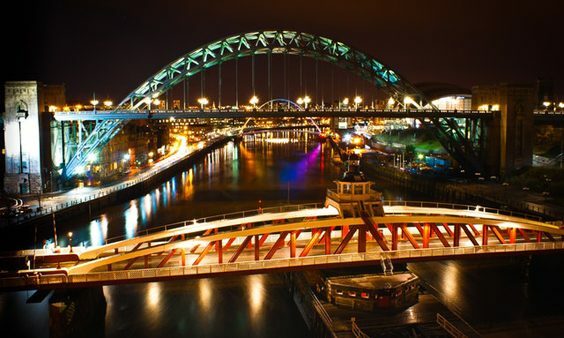 In terms of work, Newcastle’s friendly reputation has made it a natural home for a huge range of customer-focused companies, meaning there are always plenty of sales and recruitment jobs available in the city. Frank Recruitment Group is one of the city’s biggest employers, and with an office based five minutes from Central Station, it’s in an ideal spot for making a quick weekend getaway. If you want to feel like you’ve truly escaped, then Belfast is worthy of your consideration. Only accessible by sea or air, it’s a definite getaway option with plenty to explore. Whether that’s getting out into the country and exploring Game of Thrones filming locations, or developing your taste for Guinness in The Crown (opposite the Europa Hotel), there’s plenty to do here. Once you’ve exhausted all that Belfast has to offer, Dublin is only a couple of hours away, too. The Titanic Quarter has recently opened on the waterfront and whilst it has fairly self-explanatory tourist areas, it’s also become a big draw for businesses, meaning more and more employment opportunities for the city. Sharing a two bedroom property should come in under £300 a month too, although due to the city’s growth, property costs are rising faster than the rest of the UK, so it’s definitely not one to spend too long thinking about. 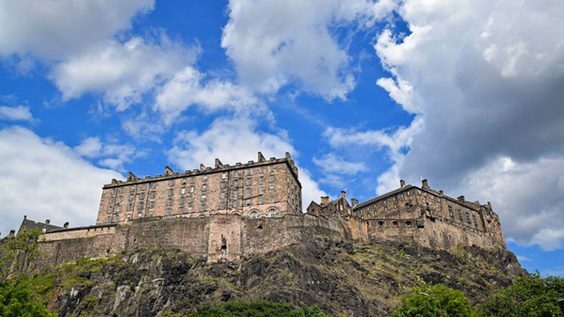 As a tourist hotspot and the Capital of Scotland, it would be easy to assume that rental prices would exclude Edinburgh from any list promoting affordable living. However, while wages aren’t sky high, they compare favourably with the average rental cost (£463p/w), which makes it an incredibly attractive option. For those with an eye on fitness, you will know that Yorkshire is home to some of the country’s fastest parkruns. However, Edinburgh’s Crammond Promenade is also one of the flattest parkrun courses in the UK, meaning definite PB potential when the wind isn’t blowing! Even if you’ve no interest in running, it caters to all tastes. Like any Capital city, Edinburgh is absolutely packed with things to keep you busy during your downtime. With a limited amount of real estate in the city itself, regeneration has cropped up in the surrounding areas, meaning the likes of Leith have also reinvented themselves and are now thriving hubs in their own right. That means if you’re prepared to commute, rental costs are even lower. The biggest local employer is NHS Lothian, with jobs available in pretty much every sector, making Edinburgh a surprising but alluring inclusion in this list. It might once have been considered a sleepy outpost, but Bristol (top image) has boomed in recent years, becoming one of the go-to destinations for millennials. If you want the artsy independent vibe of Brighton but not the cost, then relocating to the South West will be a priority. As a result, the rent is a little higher (£458), but with more and more start-ups moving there, Bristol ranks as one of the best places in the country for employment opportunities. Airbus is one of the biggest local employers, based just outside of the city centre, but there are so many small businesses expanding rapidly here that it’s worth doing some research and digging amongst specialist recruiters for your industry. And if you want to save even more money on rent, then Newport is just a short train ride across the Severn, and becoming a very attractive base for commuters. If you aren’t a big city fan then Cardiff will almost certainly make your shortlist. With affordable rent (£341p/w), it’s cost effective and only an hour away from the Brecon Beacons. If your preference is for the outdoors, then you’ll struggle to find a more striking way to relax than spending time in Wales’ national park. Whether it’s walking, cycling or simply just taking in its majestic beauty, it’s a destination in its own right. Having it on your doorstep is a definite selling point. As for the city itself, there’s plenty to do and see and enjoy. Rugby weekends are always particularly boisterous, with what feels like the entire population coming out to play. 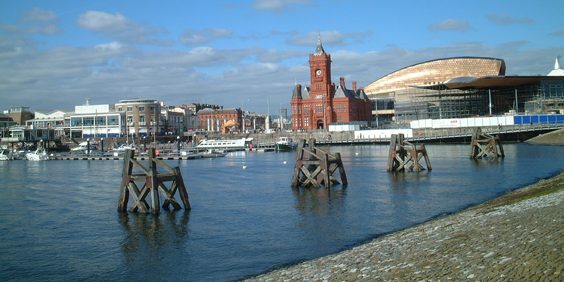 The cost of office space is low, which explains why so many companies are choosing Cardiff as their base. GE is one of the biggest employers in the area if your skillset is a little more traditional, but it’s safe to say there’s something for everyone in the Welsh Capital.